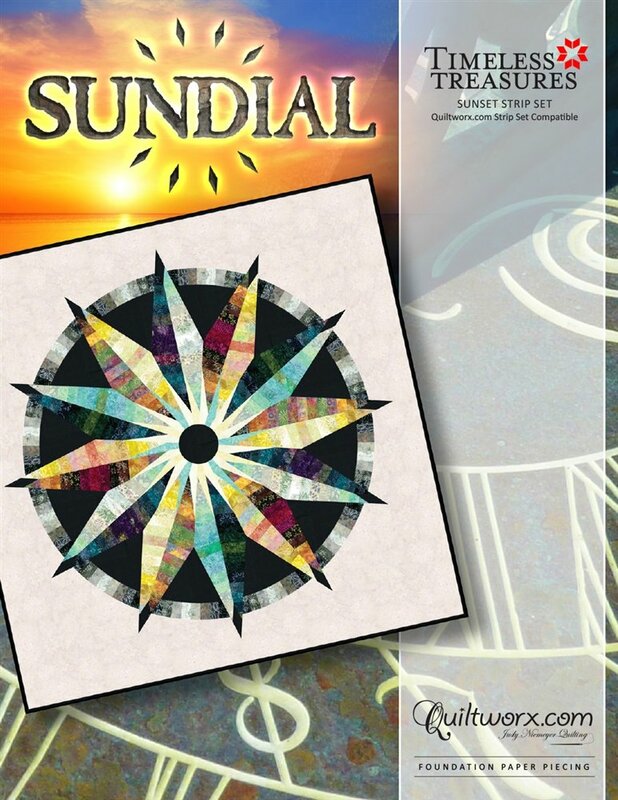 This technique was designed to utilize 2 1/2" strips in a fast, fun project that creates a dazzling 12 point medallion, reminding us of a Sundial. The quilt top is a great project for beginners, intermediate and advanced students, with all straight lined foundation strip piecing, and some very gradually curved piecing required for final assembly. It is compatible with Quiltworx 48-piece 2-1/2” strip sets and can also be expanded using Quiltworx On-Point Expansion packages, which would bring this design to 99” square. Come join our Certified Instructor Jenny Clark for this fun and quick 2 day workshop. Requirements: A supply list will be provided once signed up for the class.